MediaSpace is a website, like YouTube, that enables staff, faculty and students to create, upload, and share media amongst other content opportunities. In other words, MediaSpace is for the storing and dissemination of videos. 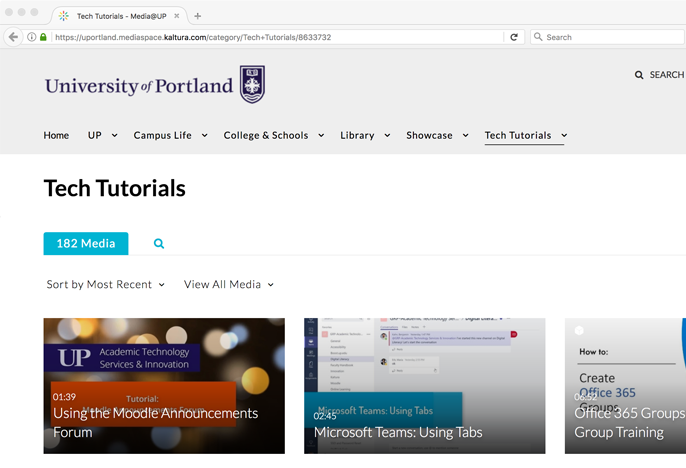 The main function University of Portland uses MediaSpace for is as a professional location to better store media content as well as give the user more control in who can see the video as well as what the viewer can see.